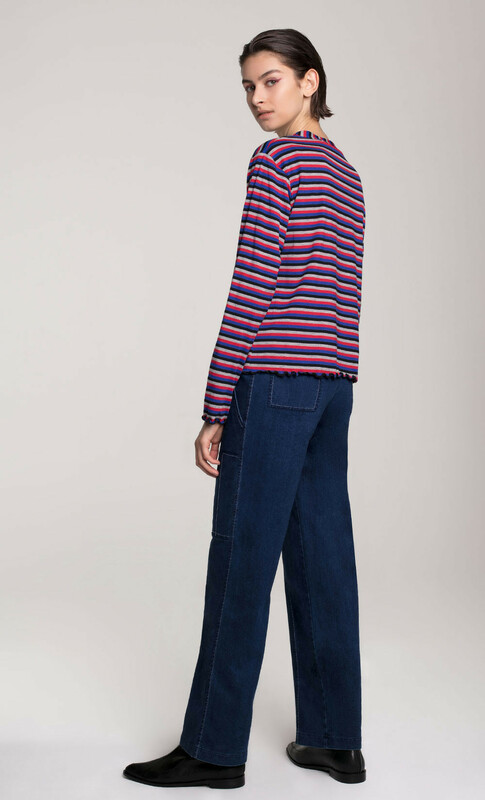 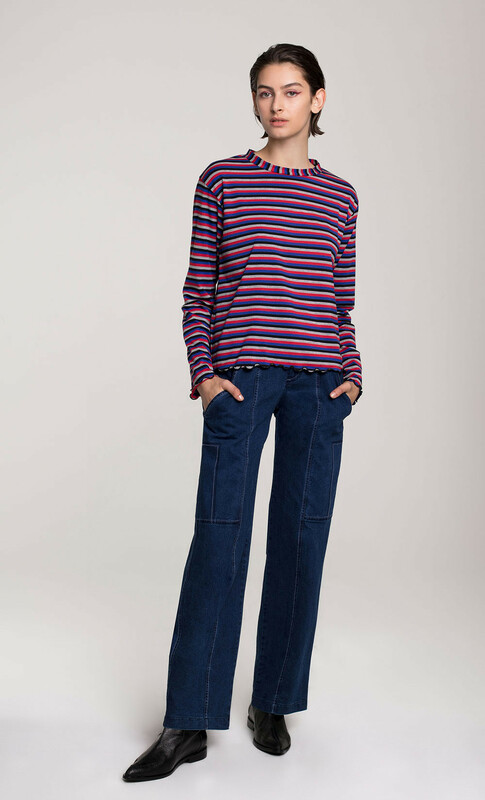 DORIN FRANKFURT presents her own fresh take on femininity in the FW18 collection and this coral, blue, grey and black stripe top demonstrates exactly that playful yet feminine feeling. 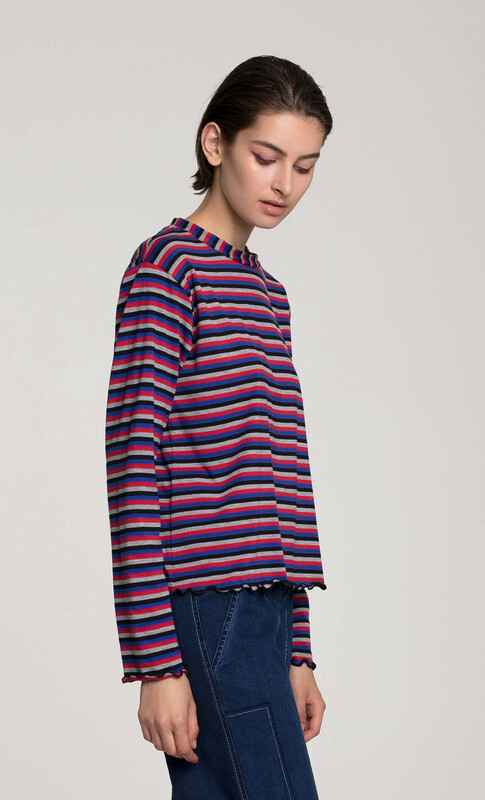 With long sleeves and a contrasting vertical striped neckline, The multicolored look is finished with dense ruffled trims in the hems. 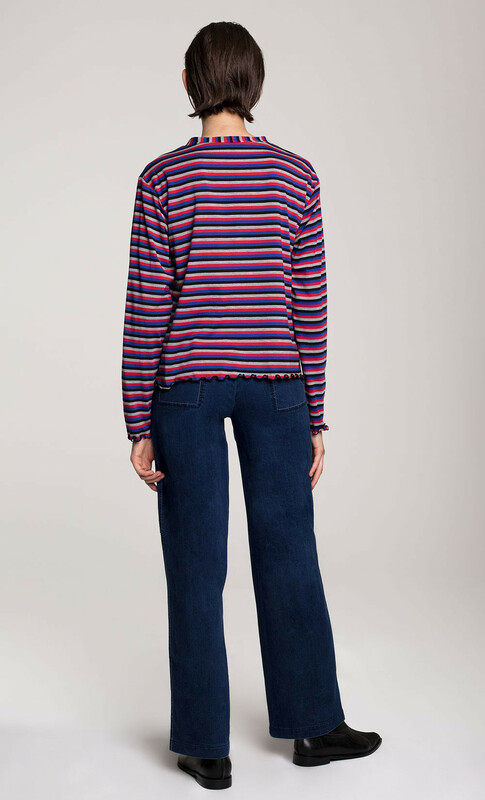 62% Polyester, 32% Viscose, 6% Lycra.